I started a visual journal almost exactly nine years ago (Yikes! Has it been that long already?) on July 19, 2007. My intent was to illustrate my days so when I went to bed I could say I drew something that day. 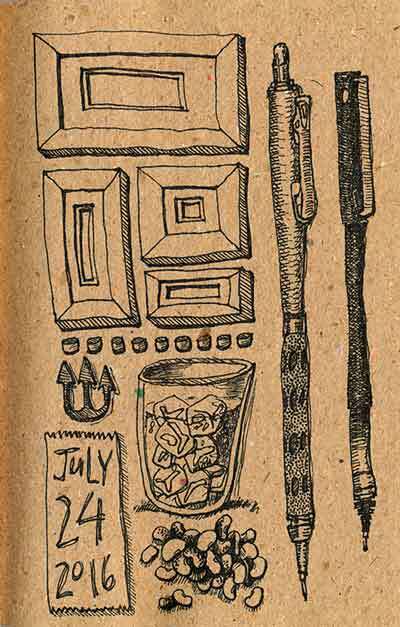 The sketchbook has been sitting dormant since Feb. 2013, and it’s high time I got back at it. Here’s the one I did after I met a friend for lunch, had lima beans for dinner and spent the afternoon drawing marshmallows.